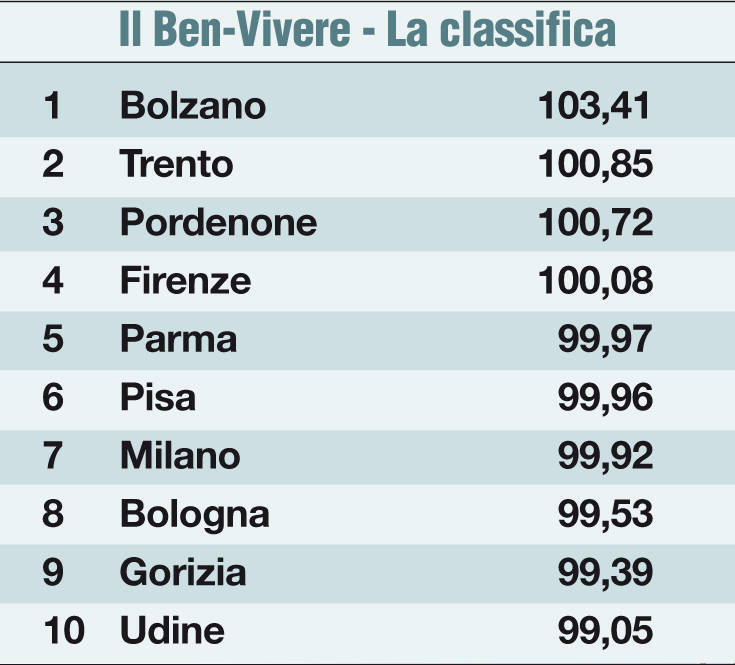 The Top 10 Best Italian Cities to Live in According to the Ranking by "Avvenire"
The factors to consider and numerous and “Avvenire”, who realized the study in collaboration with the Scuola di Economia Civile (School of Civil Economy) and with the support of Federcasse (the Italian Federation of Cooperative Banks), adopted a multi-layered approach to determine the best Italian cities to live in. They began by organizing focus groups to identify the factors that influence people’s well-being and the situations in which citizens are better able to express themselves, reach their potential, and influence the lives of others. The results of these focus groups were then integrated with a more traditional measure of well-being realized by researchers from Roma Tor Vergata and Lumsa Universities, under the supervision of docents Leonardo Becchetti, Luigino Bruni and Vittorio Pelligra, based on specific indicators such as demographics and family, health, civic engagement, environmental factors, tourism and culture, personal services, lawfulness and security, employment, economic inclusion, human capital, and hospitality. Using a point system, they calculated an average for each indicator. They then produced an overall score for each city by giving more weight to the categories identified as more significant during the focus groups. 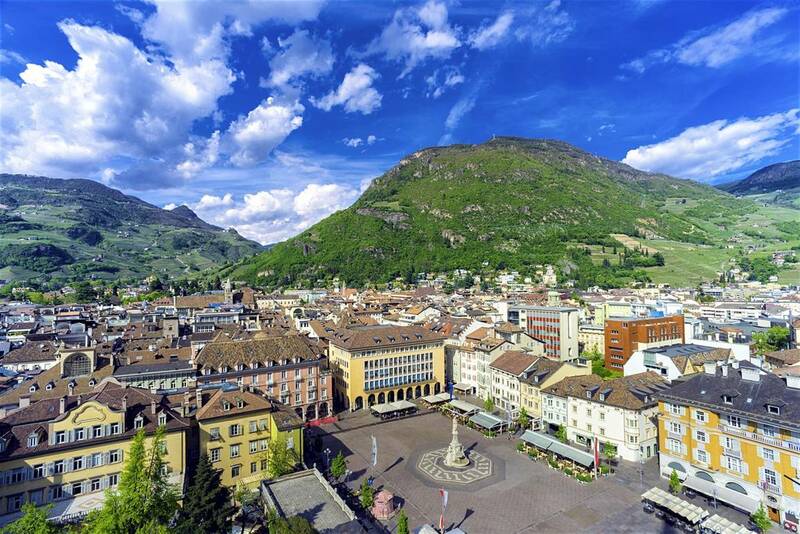 The (not entirely unexpected) results revealed that the autonomous provinces of Bolzano and Trento, in Northern Italy are apparently the best places to live, followed by Pordenone (in the region of Friuli-Venezia Giulia), Florence, Parma, Pisa, Milan, Bologna, Gorizia (near the border with Slovenia), and Udine. 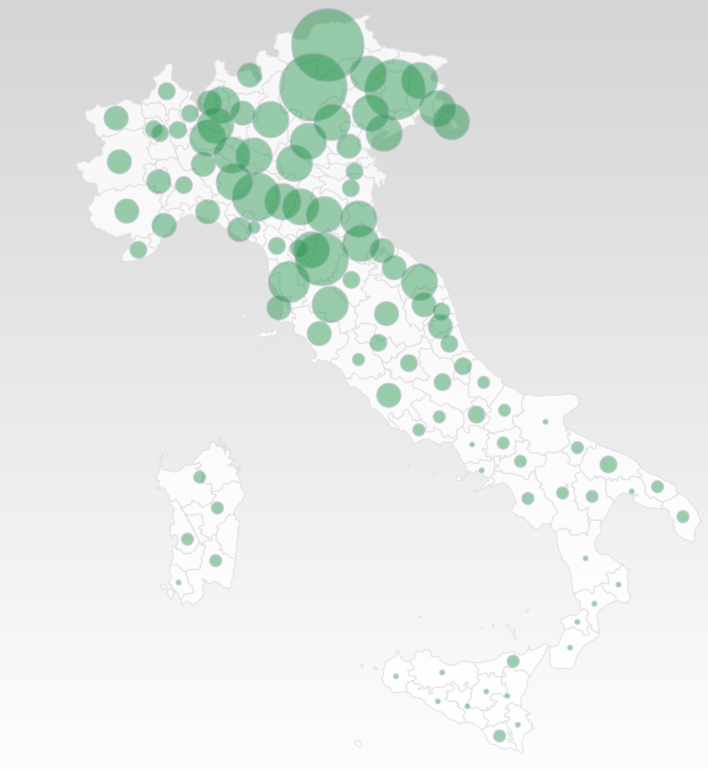 Some of the key points to emerge are, first of all, that all top 10 cities are located in the septentrional part of Italy, while the cities that scored to lowest (Reggio Calabria, Vibo Valentia, Naples, and Crotone) are all Southern, confirming an imbalance that Italians are all too familiar with. Another element that comes out of this list is that medium-sized towns tend to score higher, whereas larger cities, though richer in opportunities, lose standing due to factors such as lower environmental quality and the lack of interpersonal relations. However, “Avvenire” itself acknowledges that there are some elements that would appear to contradict these findings, such as the fact that cities like Trento, Bolzano, and Milano have higher rates of alcohol dependency, psychic disorders, and suicide. Rankings such as this one, whether they are done on a local or global scale, are always controversial, people often disagree and sometimes take offense. Italian cities rarely obtain high scores on global and European scales (northern cities such as Copenhagen or Vienna usually come out on top), in response to which Italians tend to argue that these rankings are incomplete because they don’t give enough weight to factors such as the weather and beauty of cities. 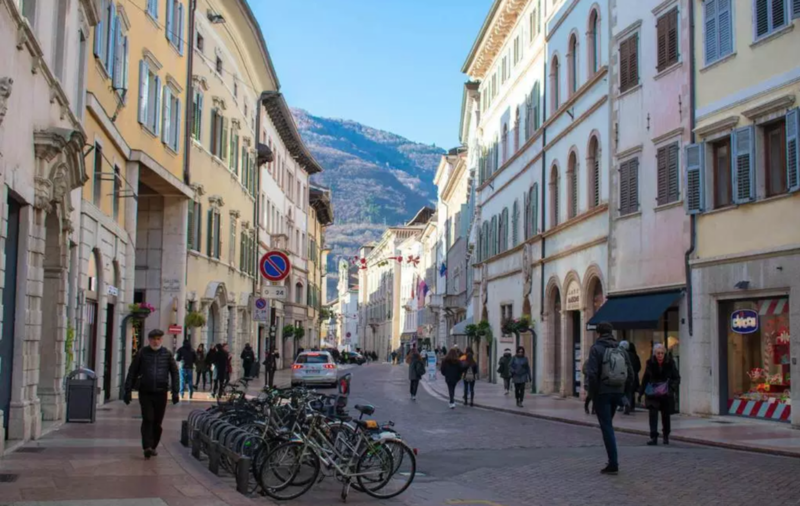 The truth is that identifying the best city to live in remains a challenge, in Italy and elsewhere, mainly because the factors that are more important in determining well-being vary from person to person and even throughout one’s lifetime. With this in mind, “Avvenire” gives readers the opportunity to see a breakdown of their ranking and adjust the weight of each indicator in order to try and determine their own personal ideal city.